Looking to catch up on Poldark before season 5 arrives? In this post, we’ll reveal how you can stream all four seasons of Poldark online. Poldark season 4 has just finished airing in the US, months after the finale was broadcast in the UK. With the show’s final season set to air sometime this year, there’s never been a better time to get up to date. Below, we’ll talk a little about what you can expect from the upcoming season and explain where you can stream Poldark seasons 1–4 online. This post will only recommend official sources. Popular shows like Poldark are often available on unauthorized streaming sites, but we advise against using any of these. You’ll often find that the video quality is very poor, with unremovable foreign-language subtitles or out-of-sync audio. Further, links to such streams are often taken down for copyright violation, so you may find yourself unable to finish the season. With several legitimate ways to watch, there’s no reason to resort to shady and unreliable streaming sites. Many of the services showing Poldark will not work abroad. To access these platforms from other countries, you’ll need a VPN. VPNs encrypt your network traffic, preventing it from being read by your Internet Service Provider (ISP), employer, or government. They also enable you to spoof your location and trick geo-blocked service providers like Netflix and Amazon Prime Video into allowing you access from outside of their intended broadcast area. We recommend PrivateVPN: it’s a reliable, high-speed VPN with strong security and the ability to unblock numerous popular platforms including Netflix Switzerland – the only country version of Netflix with all 4 Poldark seasons. Getting started with PrivateVPN is easy: just choose your desired subscription length (one month, three months, or a year) and pay. PrivateVPN comes with a 30-day money-back guarantee, so you can try it completely risk-free. If you’re not satisfied or just need it to watch Poldark online, you can cancel and receive a full refund, no questions asked. BEST VPN FOR POLDARK:PrivateVPN boasts high speeds, secure connections, excellent unblocking ability, and a no-logs policy, making it a strong choice for streaming Poldark online. Start by choosing a suitable VPN. We briefly covered PrivateVPN above but ExpressVPN and NordVPN are two high-quality alternatives. Next, install the appropriate version of the software for your operating system. Decide which streaming service you’d like to unblock. Connect to a VPN server in the relevant country. For instance, you’ll have to use a Swiss server to access Netflix Switzerland or an American one to unblock PBS. Try to play a video on your chosen service. It should load almost instantly, but if it doesn’t, clear your browser’s cache and cookies, then reload the page. The easiest way to watch Poldark online is to access Netflix Switzerland using a VPN. 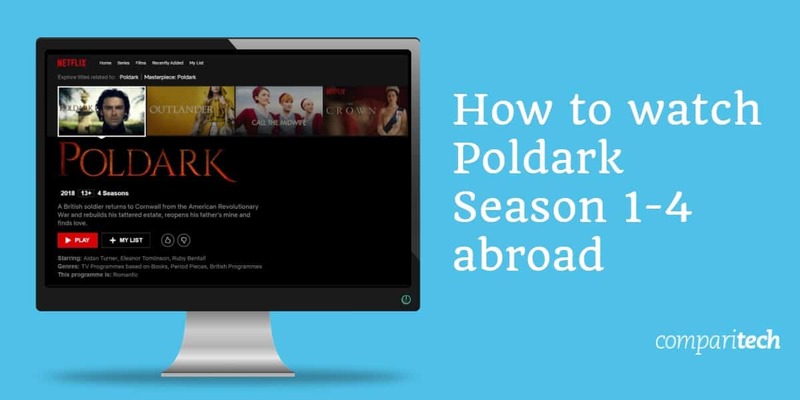 This platform currently offers access to all four seasons of Poldark. It costs CHF 11.90 per month, but comes with a month-long free trial. As there are 32 episodes in total, with a little dedication, you should be able to watch every episode before your trial expires. Better still, Netflix is available worldwide, so you shouldn’t have any issues signing up from abroad. It’s worth mentioning, however, that while PrivateVPN can unblock Netflix’s Swiss catalog, the same isn’t true for every VPN. You can find out more about the ones that do work in this post. Where else can I watch Poldark online? Despite airing on the BBC, there are no episodes of Poldark on BBC iPlayer. Instead, viewers in the UK can find seasons 1–3 on Netflix UK. This service costs £5.99 per month, but comes with a one-month trial. This means that if you’re quick, you can stream the first three seasons online for free. All four seasons are available on Amazon Prime Video, but unfortunately, they aren’t included with your Prime membership and must be purchased individually. Season 4 currently costs £16.99 (or £12.99 for the standard-definition version). You can alternatively choose to buy this season on iTunes at the same price. To access Netflix and Amazon Prime Video’s British libraries, you’ll have to either be in the UK or connected to one of your VPN’s UK servers. Learn more about getting a UK IP address for the UK Netflix library here. Every previous episode of Poldark is available on PBS. Unlike most of PBS’ content, this show is only available to THIRTEEN Passport subscribers and can’t be watched for free. You can gain access by paying the minimum amount, which is $5 USD per month, but as this service only accepts credits cards which are linked to an American address, it’s very difficult for foreign users to sign up. If you’re currently abroad but usually live in America, you can register using your usual payment method, however. Amazon Prime Video allows subscribers to stream seasons 1–3 at no added cost. This service is included with Amazon Prime, which is $12.99 per month. There’s a 30-day trial, too, so if you hurry, you’ll likely be able to stream these seasons for free. While season 4 is on Amazon Prime Video, you can only watch it if you have the PBS Masterpiece addon. This costs $5.99 per month and comes with a 7-day trial period. There are only eight episodes, so you may be able to stream the whole season before the free trial ends. Just remember to cancel afterwards so you aren’t charged. 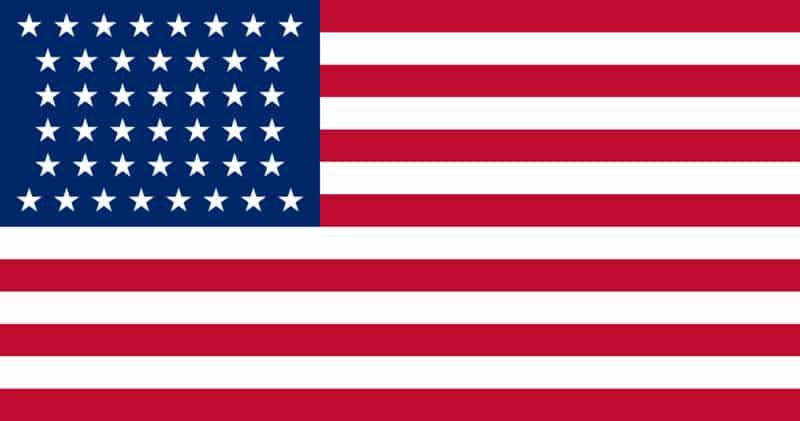 PBS and Amazon Prime Video’s US catalogs are only available in America. As such, you’ll need a VPN to access these services from abroad. Poldark is available in several countries other than those mentioned above, but in many cases, fans have to buy seasons individually on services like Amazon Prime Video, iTunes, or Google Play. You can, however, stream seasons 1–3 on Netflix in Belgium, France, Ireland, and Luxembourg. When is Poldark season 5 coming out? Details about Poldark season 5 are few and far between. We know that filming for the show’s final season finished on February 1, and that we can expect to see new episodes sometime this year. Previous seasons have aired first in the UK and come to the US after a few months, so it seems likely that American fans will have a while to wait. Remember, though: VPNs allow you to access streaming services from other countries, no matter where you are in the world. Will I be able to watch Poldark season 5 live online? New episodes of Poldark are broadcast on the BBC, meaning you can watch them live and for free on the BBC iPlayer or TVPlayer.com. They’re also available on-demand for 30 days afterwards. However, these sites are only available in the UK. You can still access them from abroad by connecting to a British VPN server: this not only allows UK residents to stay up to date with their favorite shows while on vacation, it offers Americans a way to stream the latest episodes well before their US release date. After 30 days, these episodes will be removed from BBC iPlayer. We recommend viewing them before then, since there’s no guarantee you’ll be able to watch for free afterwards. In fact, no prior season of Poldark is currently available on a free-to-use platform. Note that BBC iPlayer requires users to have a TV License to watch live or on-demand content, but this is not actually verified when you access the site. To sign up for a free account, you will have to provide a UK postal code, but this is not verified either. Which books do the first four seasons cover? We can’t reasonably expect to cover five volumes in the one remaining season. The prevailing theory among fans is that the fifth series will adapt “The Stranger From the Sea,” a book which focuses on a new generation of Poldarks and which begins by jumping forward 11 years. As far as we know, there have been no changes to the main cast, so you can expect to see Aidan Turner, Eleanor Tomlinson, and Jack Farthing reprise their roles one last time later this year. 4 Where else can I watch Poldark online? 5 When is Poldark season 5 coming out? 6 Will I be able to watch Poldark season 5 live online? 7 Which books do the first four seasons cover?